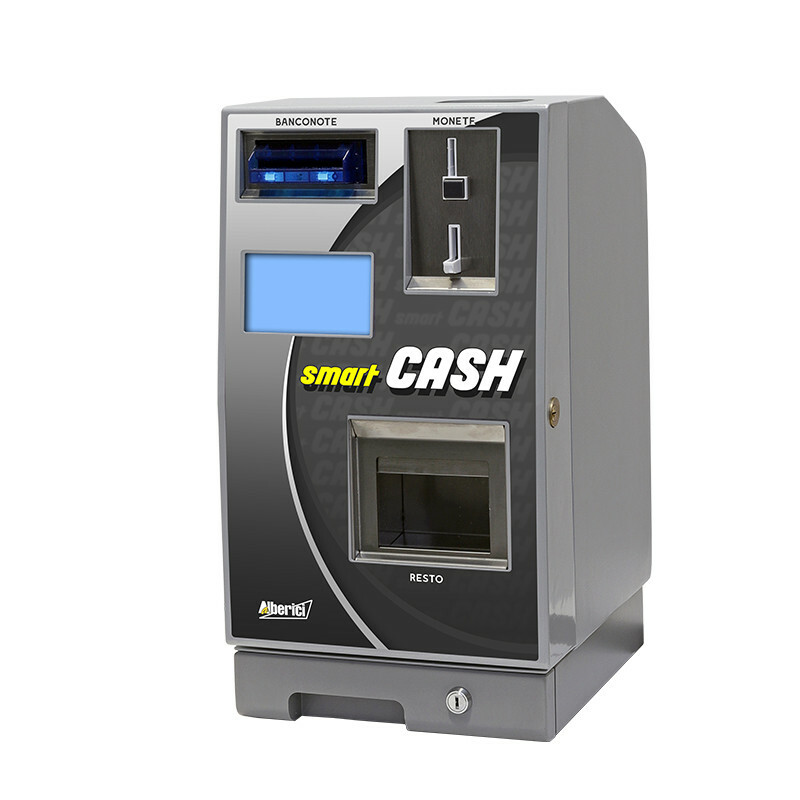 Smart Cash is the automatic cash-counter designed to simplify the accounting operations of the store. 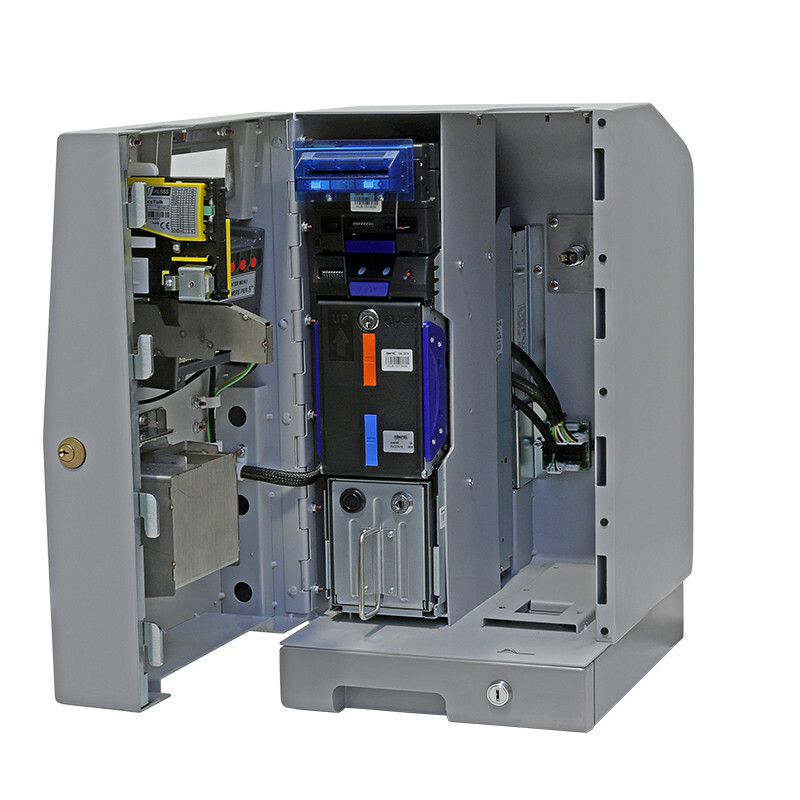 Compact and easy to use, this automatic cash machine is ideal for any type of store. It accepts payments in coins thanks to an efficient coin acceptance system that at each use, counts the coins introduced by the user and sort them within the recycler hopper. Smart Cash accepts payments in banknotes thanks to the note validator with recycler that allows a high rate of acceptance of valid banknotes and counterfeit rejection, and the return of the change in two denominations. Thanks to its 5 “display, this machine allows an intuitive use to the customers and the constant and precise control of the accounting by the operator. Smart Cash connected to the ERP system of the store allows you to simplify the accounting management and eliminating the risk of errors. The operators are recognized by means of a password or a key, and it is possible to configure different levels of access. Smart Cash allows remote settings management and a live reporting service that allows you to view cash accounting at any time, even from a distance.